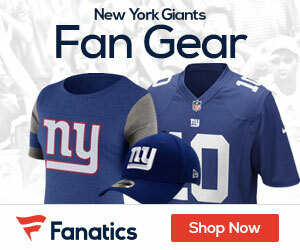 Tom Coughlin will not return as Giants head coach next season, James Kratch of the Newark Star-Ledger reports. Coughlin coached the Giants for 12 seasons, leading them to the playoffs five times, including a pair of championship wins over the New England Patriots in Super Bowls XLII and XLVI in 2007 and 2011. But after the Giants won their second title under Coughlin, they never again made a playoff appearance under him, missing the playoffs for four consecutive seasons and finishing with a losing record in each of the last three years. Coughlin finished his tenure with a 102-90 record after Sunday’s 35-30 loss to the Eagles at MetLife Stadium. The defeat completed a 6-10 campaign for the Giants, who went 7-9 in 2013 and 6-10 in 2014. Coughlin ends with a overall career record of 170-150. He was also the first head coach of the expansion franchise Jacksonville Jaguars from 1995-2002, leading them to two AFC Central titles, two AFC wild card berths and two AFC title games. No greater compliment than what Tuck gave Coughlin as a person. ” Boast not of thyself, but let another man praise you”. Coughlin lived that. Read a very compelling scientific take on helium/air filled, SELF DEFLATING, 75-80yd TD/FG/PUNT NFL game balls.